There’s nothing quite like being awestruck by the sheer beauty of the huge buildings towering over you in NYC. The city itself is grand, but for my first expedition I wanted to visit something a little more natural, Central Park. The first thing I did after arriving was buy a delicious hot dog from a small food court located near the entrances of the park. I began to explore as I chowed down on my treat and noticed some kids playing around this beautiful statue. 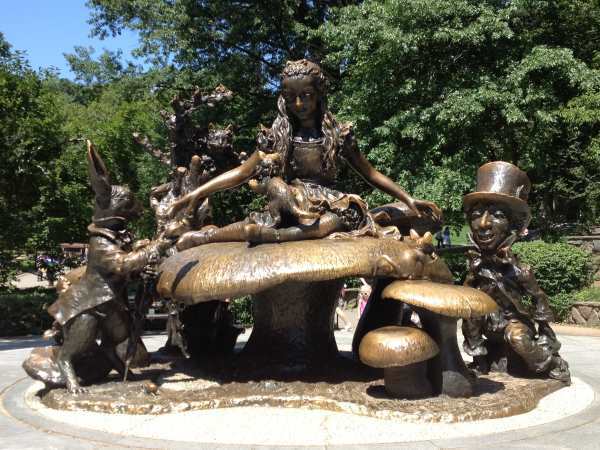 As I got closer I was surprised to find out the statue was Alice from the book (and later movie) “Alice in Wonderland”. I read that book as a child and it was nice to see this statue greeting me as I explored Central Park. I did some research on the statue and it turns out a man named George Delacorte commissioned it after his wife passed away. She use to love reading the book to their children. I continued to walk and walk (I couldn’t help myself! ), admiring the beauty around me. I really liked the park, and felt a lot more connected to the city by visiting. It was nice to experience some natural beauty in a city full of man-made wonders. Eventually I found my next destination, the zoo! Central Park Zoo was really nice. I really liked the Rain forest and all it’s different tropical birds from places like Madagascar and the Victoria Crowned Pigeons of New Guinea. I enjoyed taking a look at the frogs, snakes, toads, and lizards. There was so much variety in this zoo considering its relatively small size. As I left the zoo I wondered what else there might be to do. I wandered around and it soon became apparent that there was still plenty more to discover in the park. I stumbled upon the Belvedere Castle and was not only amazed by the impressive old architecture but also impressed with the surrounding area itself. I enjoyed views of the Delacorte Theater, the Great Lawn, and the Turtle Pond. Inside the Castle, I found Henry Luce Nature Observatory. There were telescopes and a pretty nice little field pack that contains binoculars and a good amount of reference materials. Along Central Park’s southwestern edge is an impressive 15-acre field called the Sheep Meadow, where people relaxed and ate lunch with one another. It was a Quiet Zone and had strong rules to keep it quiet. Most pets are prohibited from the area and audible music is strictly forbidden. Because of the quietness of the area, it’s very popular amongst a lot of people in the city as a way to “get away” from all of the noise of New York City. It was nice to sit down on the grass and enjoy a nice relaxing rest before I continued on my journey. Next I came across a few people playing instruments and singing. They were actually quite good and had a tip box out so they could make some money for their time. I always found it admirable that people could open themselves and their art up for public consumption. I can barely give a speech in front of a group of people at my job, but these musicians were brave enough to play in front of people they’ve never even met. I continued on and visited the historic Central Park Carousel. The original park carousel opened in 1871 and was kept moving by a blind mule and a horse, who walked on a treadmill in an underground pit. It has become one of the park’s most popular attractions and judging from all the people that were gathered around, it’s still pretty popular. Overall I really enjoyed my visit to Central Park. I can see why it’s become such an iconic part of the city. 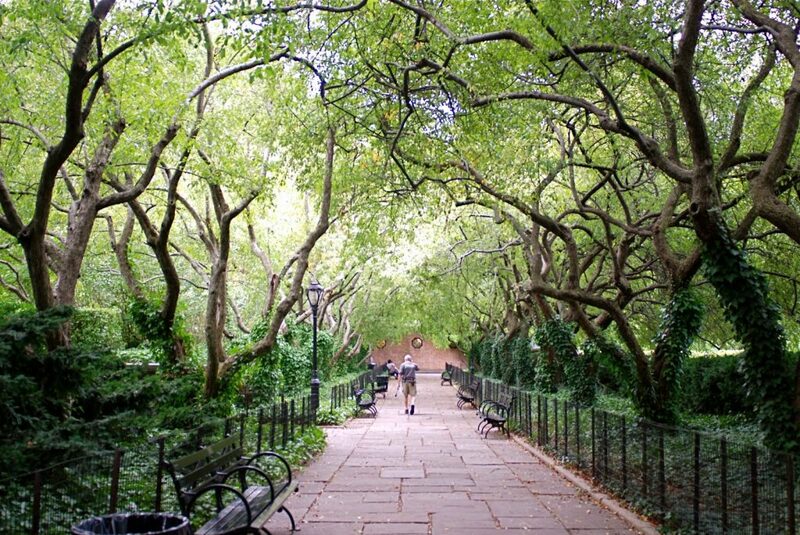 It provides a getaway to nature without ever leaving NYC! I’ll absolutely be visiting Central Park much more in the coming weeks and can see it becoming a regular stop during my weekend routine.